Vertex™ brand in a laptop backpack performs on the job or in the mountains. webbing accents, padded handle, padded & adjustable straps. 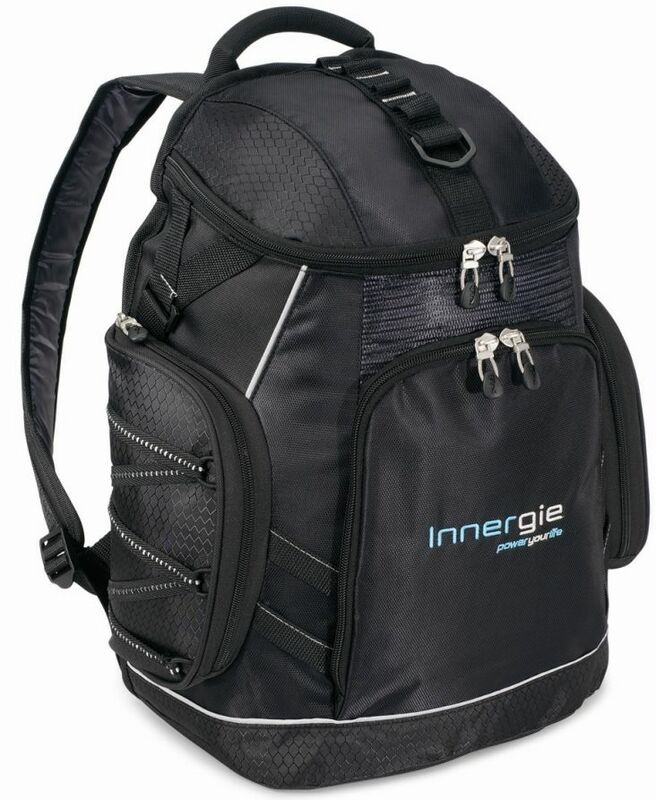 Overall size of laptop backpack is 12 1/2 w x 18 1/2 h x 8 d.
Rush Production is available at no additional charge. Price includes a one color imprint on the front in area 5" w x 6" h.
just add $2.95 each and No Additional Setup Charges. Logo requires Illustrator ai, eps or pdf factory ready art. add an embroidery tape charge of $150.00, plus $3.49 each. Logos require Illustrator ai, eps or pdf factory ready art.